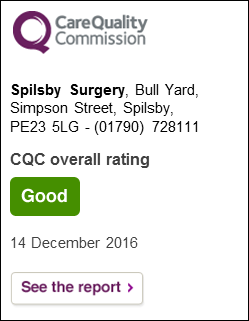 On Friday 29 March, Spilsby Surgery was contacted by Lincolnshire East CCG. The CCG accepted the practice’s offer to continue to offer warfarin (INR) monitoring to our patients from 1 April, whilst agreeing to meet our break-even costs. A few days earlier the CCG had stated that warfarin monitoring would be undertaken by Lincolnshire Community Health Service (LCHS). Spilsby Surgery sought several quality assurances for this new service, two of which LCHS was unable to meet. The CCG backtracked on the plan. Practice Manager Jason Longstaff, your PPG Chair Dorothy Dobson, Dr Howarth and Dr Savory have spent considerable time over recent weeks working to secure a safe and accessible service for our patients. We are frustrated for our patients at the last-minute nature of the resolution. Spilsby Surgery will contact patients who are due an INR test in the coming days just a soon as the Monday rush settles down. If you are due an INR test in April, please contact the practice in the coming days. LCHS has confirmed that INR tests will be done at the Grace Swan Clinic on Wednesdays from the week commencing 1 April 2019. (Other clinics will be available at Horncastle and Coningsby.) This is an interim service an we hope INR testing will return to the Surgery in the summer. All patients will be contacted directly in the coming days by staff from LCHS. Lincolnshire East CCG has confirmed that an interim anticoagulation (INR) monitoring service will be run by Lincolnshire Community Health Services from 1 April 2019 at the Grace Swan Clinic at Hundleby. The practice has yet to be contacted by LCHS. We were informed this morning that a contract for the INR monitoring service has been awarded to Lincolnshire Community Health Service (LCHS). Further details are unknown at this time. As soon as additional information becomes available we will, of course, let you know. The blood-thinning tablet Warfarin reduces the risk of blood clots and strokes. Patients taking Warfarin require regular finger-prick INR tests to ensure safe dosing. In recent years the number of patients needing this medicine has reduced. GP surgeries are funded by the CCG according to the number of patients treated, whilst surgeries’ costs for staff training, equipment and quality monitoring have increased. In July 2018, Spilsby Surgery warned Lincolnshire East Clinical Commissioning Group (LECCG) that the service it provided to patients was reaching a tipping point. In December we served 3 months’ notice on the anticoagulation (blood-thinning) contract. At least two other East Lincolnshire GP surgeries are understood to have handed back their anticoagulation contracts in 2019. With two weeks remaining, the CCG hasn’t informed patients or the practice what its plan is to care for 71 patients. With each passing day it becomes more difficult for a new care provider to organise a service at such short notice. 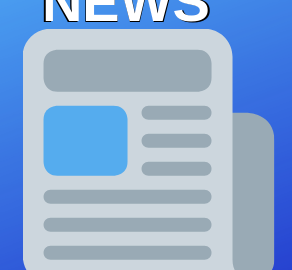 Your Patient Participation Group (PPG) has expressed its concern to the CCG. The practice has voiced its anxieties to the regional Medical Director of NHS England. We had previously advised patients to contact Samantha Milbank at LECCG after 15 March if you weren’t aware of how your INR (warfarin) tests were going to be provided. She is no longer in post. Your questions and concerns should be directed to their Anti-coagulation Service on 01522 530336.